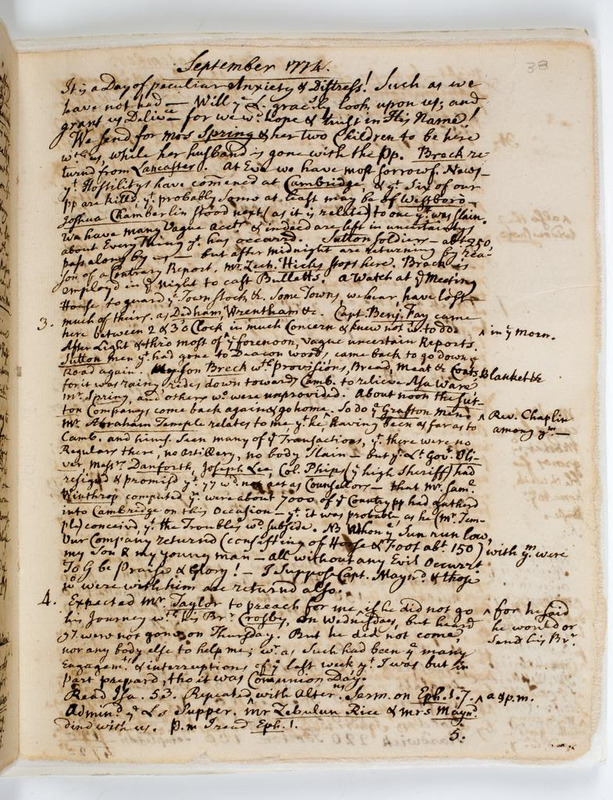 Elias Parkman Feb 1640 original Windsor, CT land record (left) & same record transcribed in 1722 by Timothy Loomis Windsor Town Clerk. made the copies of Madam Parkman and of the Parkman Coat-of. adorned the walls of the Westborough parsonage. Reverend Eli Forbes oil portrait is essentially identical to his father-in-law Reverend Ebenezer Parkman’s pencil sketch above. Eli married 4 times including Ebenezer’s daughters Mary and Lucy. Samuel Parkman (looks a lot like George Washington – likely painting by Gilbert Stuart that Samuel commissioned to paint George Washington standing in front of his white horse – see full size oil painting that now hangs in Boston Museum of Fine Art and prior to that in the Faneuil Hall – as posted further on in this blog). 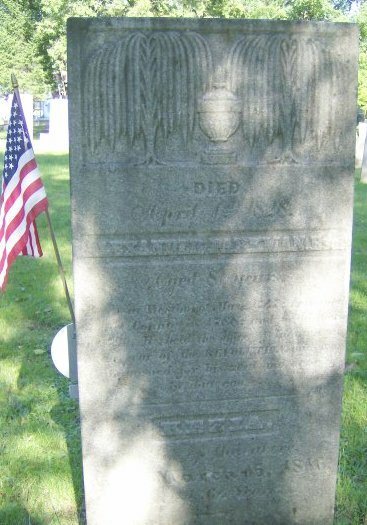 Samuel, born 22 Aug 1751 in Westborough, MA and died 11 Jun 1824, son of Rev. Ebenezer Parkman. Reverend Ebenezer Parkman’s Parsonage is listed on the National Register of Historic Places and is located at the Parkman Parsonage Historic District in Westborough, MA. A half mile west of the Forbush Farm-Tavern on the hill where the first meetinghouse was built were the farms of Edmund Rice and John B. Maynard. Although the area was virtual wilderness, it was settled by the homesteads of approximately 27 families. But the threat of wolves, bears and Indian attacks was always a major concern. In 1704, Edmund Rice’s three boys were playing with their two cousins at the Thomas Rice farm when they were attacked by Canadian Indians. Four of the boys were taken hostage while the youngest was slain during the Indian retreat. A second attack in 1707 in the Stirrup Brook area prompted the town of Marlborough to increase the number of garrisoned homes. The Edmund Rice farm and the Samuel Forbush farm became garrisoned in 1711 to serve as safe houses for the families in the immediate area. The original settlement, referred to as Chauncy Village, was incorporated as the Town of Westborough in 1717. 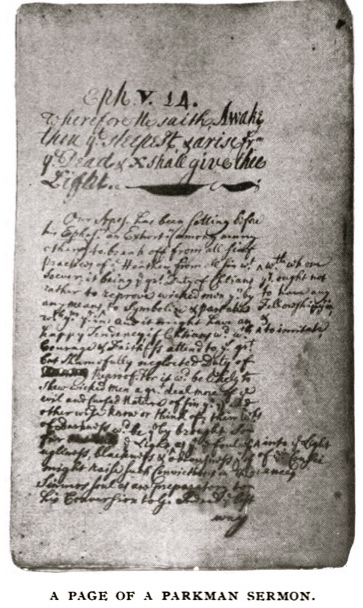 In November of 1720, the construction of the first meeting house commenced on land donated by Edmund Rice and John Maynard. But it was not until 1724 and the town held its first March town meeting in the crudely built 30×40 foot structure that did not have heat, a floor or benches. 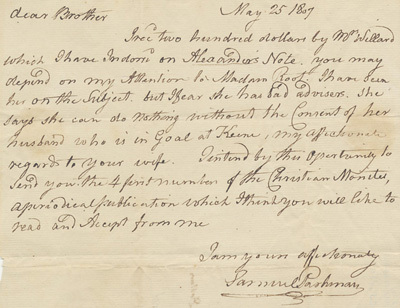 When Rice became unsuccessful at negotiating for the return of his boys he sold the 100 acre farm (excluding the meetinghouse) to Captain Daniel Howe of Marlborough to pay the ransom on the boys, but Silas and Timothy Rice were never returned. 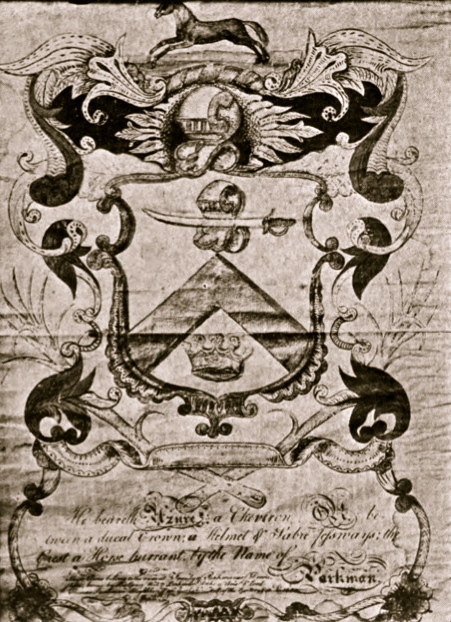 On April 2, 1724, the heirs of Capt. 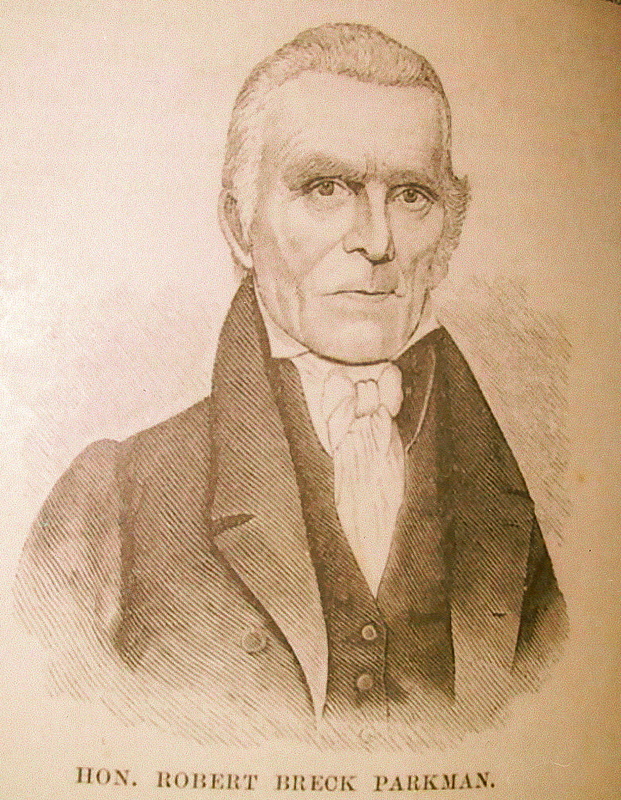 Daniel Howe deeded the farm to the town’s first seated minister, Ebenezer Parkman. 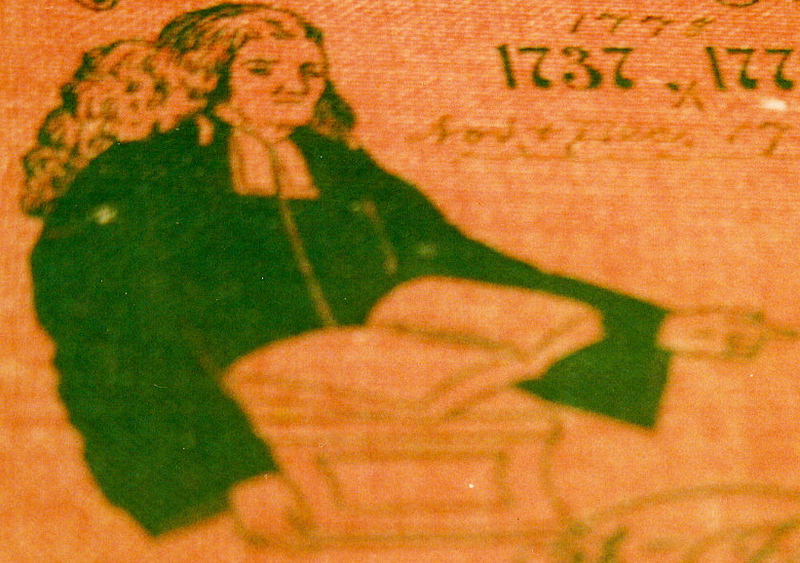 In October 1724, Parkman was ordained pastor, “Town Minister,” of the fledgling community and the same year took a wife, Mary Champney of Cambridge, and moved into their new home. The farm became the parsonage and home for the Parkman family for the next 28 years. The Parkmans had four surviving children here, but Mary died in 1736 and two years later Reverend Parkman married Hannah Breck of Marlborough. They had seven children at the Powder Hill Farm and four more at the new parsonage. 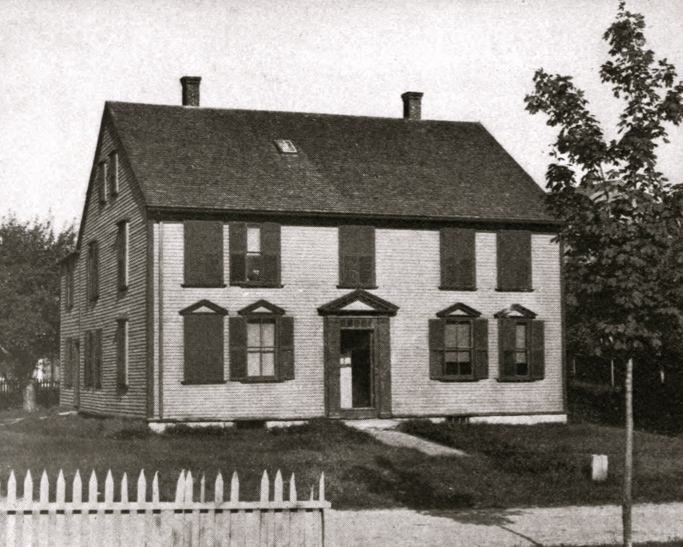 During the next twenty eight years, the meetinghouse was remodeled and enlarged to accommodate a growing church population and became the center of not only the town’s religious needs but also the political affairs. It served in that capacity until 1748 when it was taken down and salvaged for the new meetinghouse built in the newly-established center of town. 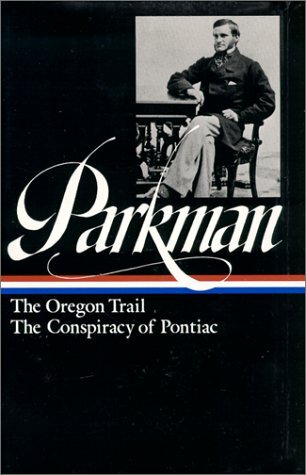 Although Parkman’s ministerial duties kept him very busy, the farm for the most part was managed by his parishioners and family. Parkman and Hannah continued to live on this farm until a new pastoral home was built near the second meetinghouse. 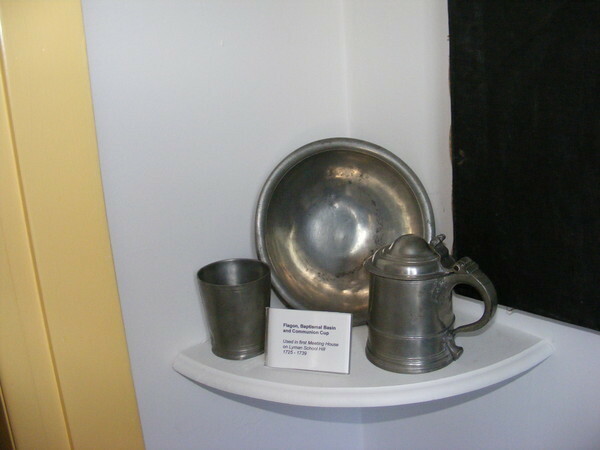 After moving into the new parsonage built in 1752, Parkman’s eldest son, Ebenezer Jr., and his new wife moved into the old homestead but continued to raise livestock and grow vegetables and fruit for the family. 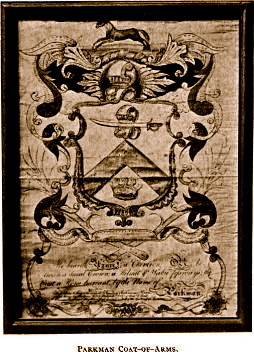 The farm was sold by Parkman in 1764 to Captain Stephen Maynard who days later transferred ownership to John Beaton, a Scotsman from Hopkinton. The farm remained in the Beaton family until 1822 when Colonel William Beaton deeded the Powder Hill Farm to Silas Wesson. Wesson operated the farm for approximately ten years. In 1825, Wesson set aside a portion of the property on the Turnpike and built the Wesson Tavern. The area then became known as Wessonville. In 1832, Wesson was experiencing financial difficulties and sold the homestead and 80 acres to William White. White dismantled the former Parkman home and built a new house on the existing foundation. The farm was sold by widow Nancy White in 1850 to Emmons Raymond. 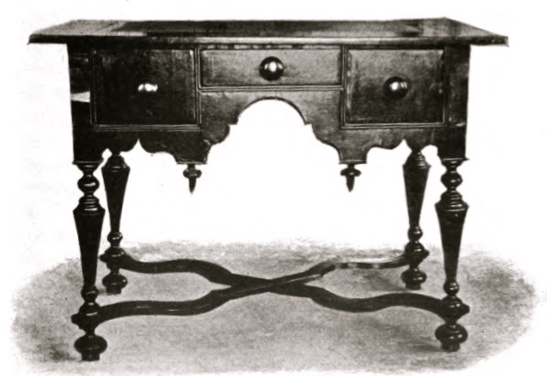 It was then sold again in 1865 to Whittemore Rowell. In 1859, Rowell had partnered with Cyrus Brigham to form the largest milk distribution business in the world (four to five thousand hogsheads [63 gals] of milk annually sent from town) amounting to a million dollars per year. The partnership was dissolved in 1873. Rowell sold the farm to Bela J. Stone, who had moved to Westborough in 1871 from Sturbridge. Stone was a successful and well respected breeder and livestock farmer. Stone named his farm the Linden Wood Milk and Fancy Stock Farm. In 1877, it is recorded that Stone sold at auction 25 head of prized Ayshire bulls, cows, and heifers. 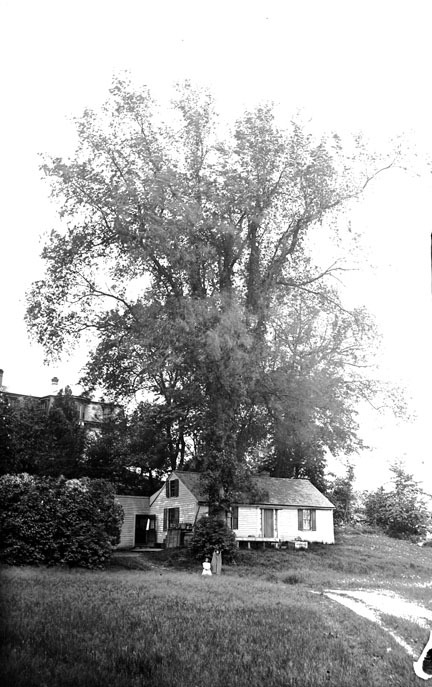 In April 1885, the farm – consisting of 79 acres of land, house, barn, grainier and hen houses – was purchased from Stone by the Commonwealth of Massachusetts for $14,000 and became part of the campus of the Lyman School for Boys. 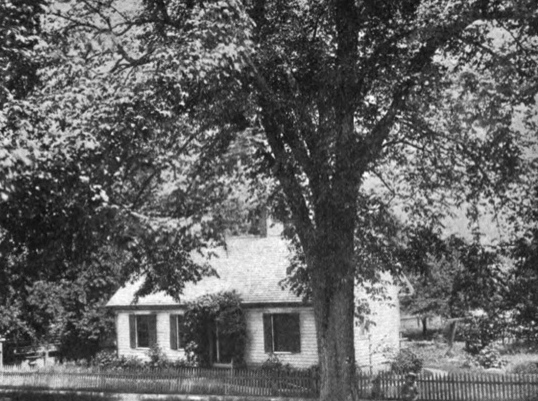 The house was named Maples Cottage. Occupation: minister in Westboro, Mass. Here lived and died George Francis Parkman, Jr. 1823-1908 Remembered with enduring gratitude by the City of Boston for his bequest of a $5 million fund that secures for-ever the maintenance and improvement of the Boston Common and other public parks (Boston Common is America’s oldest Park founded in 1634). The Parkman House is next to the gold domed Boston State Capital Building (as seen at the far right center photo above & aerial photo of State Capitol the Parkman House is to the left see below). Jimmy Carter slept here while he was Governor of Georgia in 1980. Samuel Parkman commissioned Gilbert Stuart to paint a full length, approximately ten feet by seven feet, oil portrait of U.S. President George Washington, which Samuel later gifted to the Town of Boston on the 30th anniversary of the signing of The Declaration of Independence on the 4th of July 1806. The painting hung in the Faneuil Hall, now a copy and the original is viewed at the Boston Museum of Fine Arts for safe keeping . 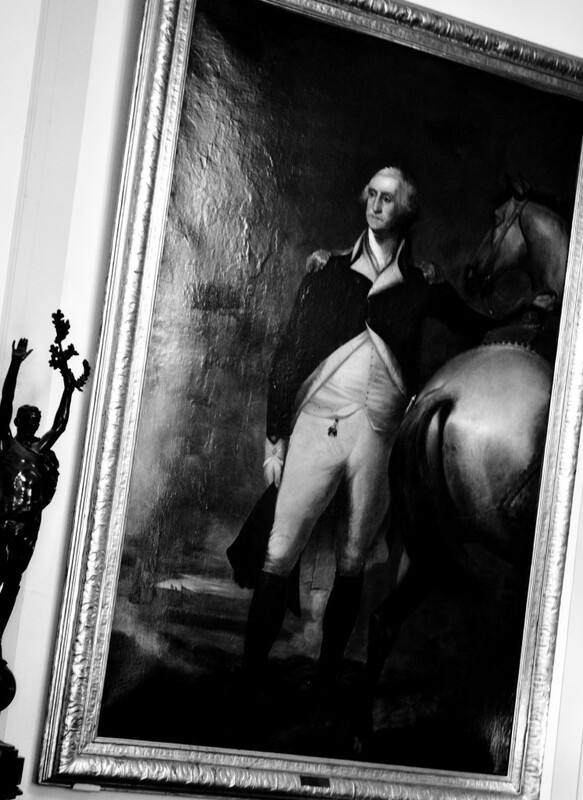 The painting by Gilbert Stuart is of George Washington in Dorchester Heights, full-length in uniform, standing by a white horse, holding his bridle in his left hand and his chapeau in his right. Architect Bullfinch had expanded Faneuil Hall and desired to have a portrait of General Washington on display. A European artist had copied the Lansdowne Washington original. The patriots found this unacceptable and created an electrifying stir in Boston. Samuel Parkman, heard about the matter and approached Gilbert Stuart to create a new original of President Washington. Stuart agreed and used the famous unfinished head portrait, also known as the Anatheaum and had several friends stand in for various body parts. 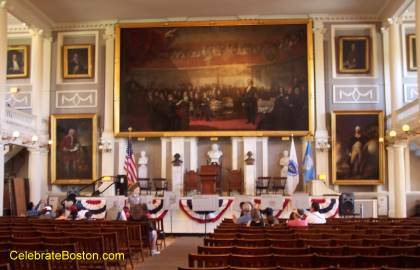 Stuart finished the painting in 10 days and it was on view for the 4th of July 1806 festivities at Faneuil Hall. The painting is known as “Washington at Dorchester Heights” as the Colonial Army had taken Dorchester Heights causing the British to leave Boston. In the background you see navy ships and islands. 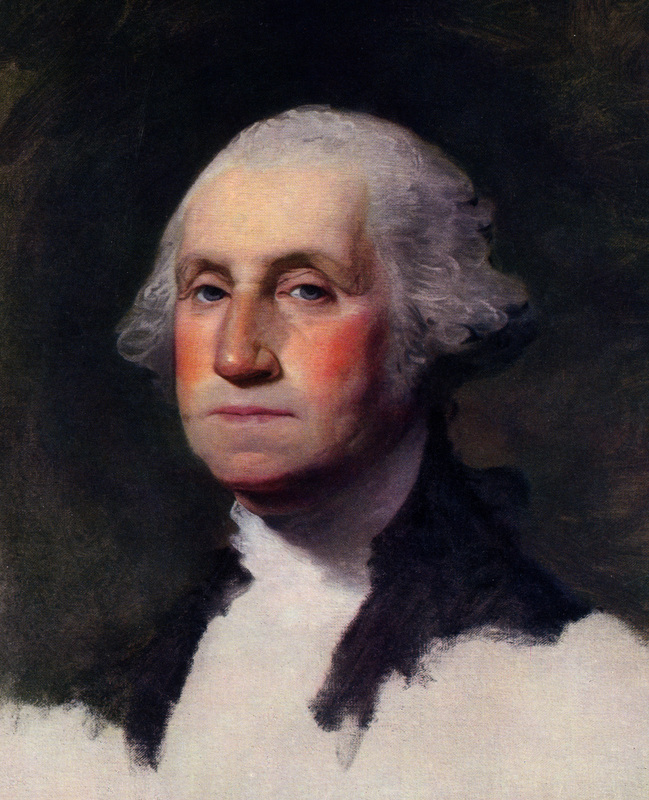 The complete story appears along with a photo of this portrait on pages 128 – 131 of the book published in 1986 (see photos of this story below): Gilbert Stuart, Father of American Portraiture, The Library of American Art, by Richard McLanathan. This oil painting is approximately 9 feet tall by 6 feet wide at Boston Museum of Fine Arts, DMP,SR 2007. Samuel Parkman commissioned Gilbert Stuart to create this life sized oil painting than hung at Faneuil Hall (see above the bottom right side painting) that now is on display at The Boston Museum of Fine Art. 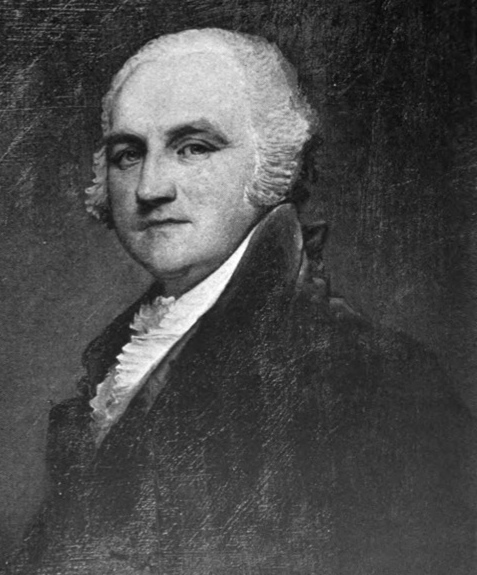 Samuel Parkman portrait painting by Gilbert Stuart. The artist; commissioned for the town of Boston by Samuel Parkman, 1806; deposited by the City of Boston, 1876. 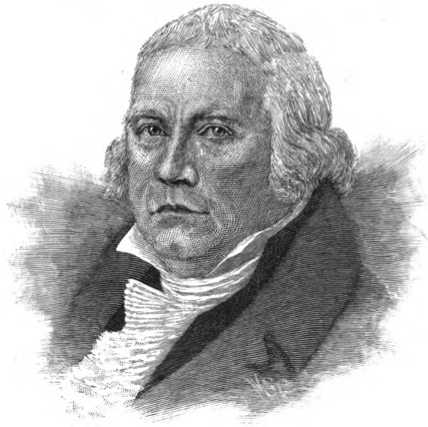 The namesake to Boston’s celebrated Faneuil Hall, Peter Faneuil (1700-1743) was a wealthy Bostonian who made his fortune as a merchant in the slave trade. He was born in New Rochelle, New York, and moved to Boston as a young man to join his uncle in the shipping business, which he eventually inherited. 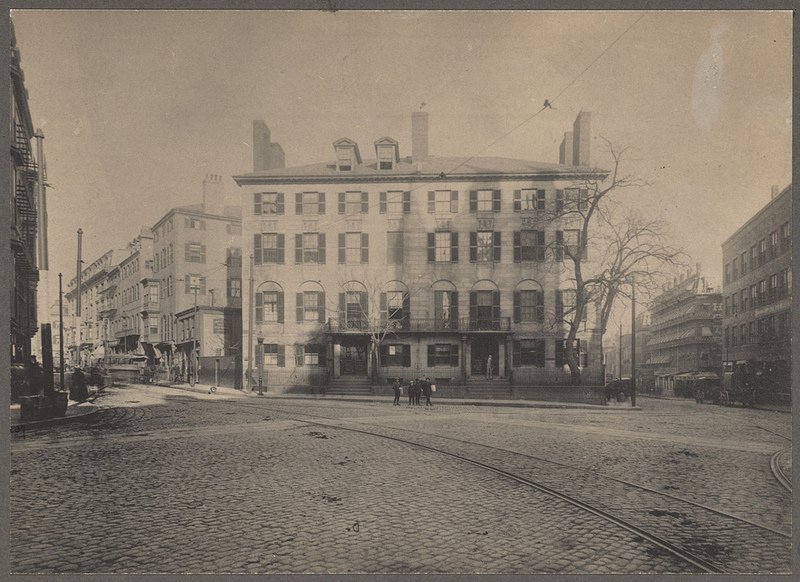 While Faneuil had a reputation for living well, he was also known as a considerate employer and a generous public benefactor. In 1740, he offered to build Boston a public market house; it was finished a few months before his death and was subsequently named “Faneuil Hall” in his honor. John Smibert (1688-1751), Faneuil Hall’s first architect, painted a posthumous portrait of Peter Faneuil to be hung in the original hall. This painting was damaged in the great fire of 1761, but was rehung in the next incarnation of the hall. This particular painting had another run of poor luck when it was further damaged in a 1775 demonstation by patriots against members of the Faneuil family – who had lost much of their popularity when they joined the British evacuation of Boston. Smibert’s portrait of Peter Faneuil was then copied by Henry Sargent (1770-1845) in 1807, in order to preserve the likeness of the deteriorating original. This is the painting that is displayed today, a gift to Faneuil Hall by Samuel Parkman. George Washington as seen in Faneuil Hall see above the bottom right painting. Some believe George Washington came to the site in 1750 as a young surveyor on behalf of Thomas Fairfax, 6th Lord Fairfax of Cameron. 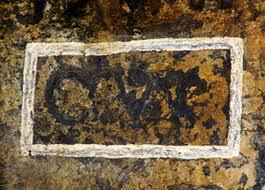 To support claims that Washington surveyed the area, some tour guides claim the initials “G.W.” on the wall of the bridge, 23 ft. up, were carved by the future president. Legend also has it that George Washington threw a rock from the bottom of Cedar Creek over the bridge. In 1927, a large stone was found, also engraved “G.W.” and bearing a surveyor’s cross, which historians accepted as proof that he indeed surveyed the bridge. 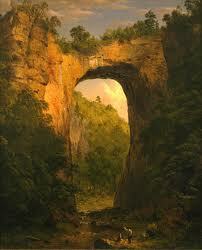 Thomas Jefferson purchased the bridge (@ Natural Bridge,VA) for $2.40 from King George III. He also built a cabin there while he was president. 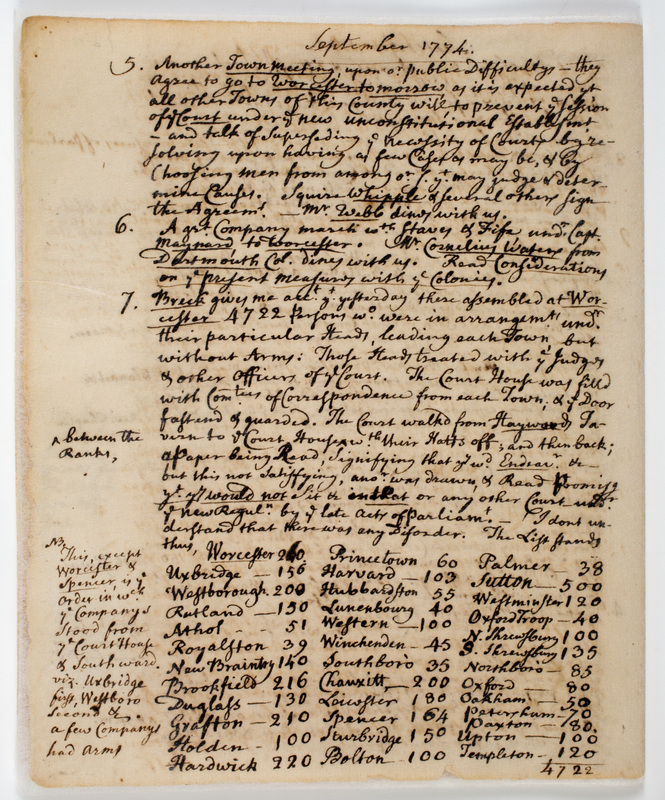 Samuel Parkman, m. first Sarah Shaw, 1773, second Sarah Rogers, 1784; subsequent history unknown; given to the Museum by the collector Pauline Revere Thayer. Silversmith Paul Revere made this presentation urn with an ivory spigot handle, which was presented to Capt. Gamaliel Bradford of Duxbury by Samuel Parkman. Daniel Chester French created this Minuteman statue at Concord, MA as well as the Francis Parkman Memorial , Jamaica Pond, MA and the John Harvard statue, Harvard, Cambridge, MA. This grave of Alexander & Kezia Parkman is @ the Old Westmoreland Cemetery, Oneida County, NY. Alexander Parkman, Esq., Lieut., Revolution, born 1747, died April 4, 1828, aged 81. Kasper was a veteran and served as a Private during the Revolutionary War. He was the son of Michael and Margaret Keinadt and was 92 years and 36 days old when he died. Plot: Sq 16 R 4 #3Edit Virtual Cemetery info [<span class=”fakeLink” style=”color: #000088; text-decoration: underline;” title=”header=[ Virtual Cemetery:] body=[What is a Virtual Cemetery? A Find A Grave Virtual Cemetery is essentially a collection of names from the Find A Grave database. As a Find A Grave contributor, you can build Virtual Cemeteries to group listings in whatever way you would like. For example, you might make a ‘Smith Family Virtual Cemetery’ where you would place all of the members of your Smith family tree. Other examples: ‘My Favorite Actors’ or ‘Memorials I Visit Often’. Be creative! Samuel Parkman commissioned Gilbert Stuart to paint a full length oil portrait of U.S. President George Washington, which Samuel later gifted to the Town of Boston on the 30th anniversary of the signing of The Declaration of Independence on the 4th of July 1806 where the painting hung in the Faneuil Hall and now in the Boston Museum of Fine Arts. 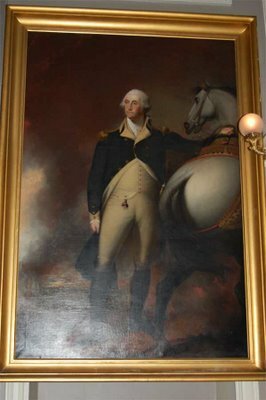 The painting by Gilbert Stuart is of George Washington ,in Dorchester Heights, full-length in uniform, standing by a white horse, holding his bridle in his left hand and his chapeau in his right. Jacob is referred to as the patriarch of Trinity Congregation. 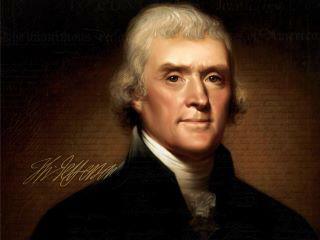 He was a veteran of the Revolutionary War and a Private serving under the direct command of George Washington during a time of great destitution and starvation. He at first lived in Rockingham County but after the war he and his wife Elizabeth Hedrick moved to Augusta County. He was only 49 years old when he died. “Ye passers-by consider well here my place; seek Jesus in the time of grace that ye may hereafter come to glory”. Edit Virtual Cemetery info [<span class=”fakeLink” style=”color: #000088; text-decoration: underline;” title=”header=[ Virtual Cemetery:] body=[What is a Virtual Cemetery? When Jacob returned from the Revolutionary War they moved from Rockingham County to Augusta County. Their first child, Anna Margaret, was baptized on April 6, 1772 and was the first recorded entry in the records of Trinity Lutheran Church. 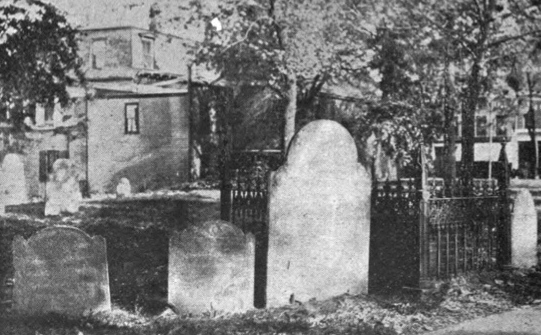 Jacob Barger was born in 1745, married Elizabeth Hedrick in 1772. 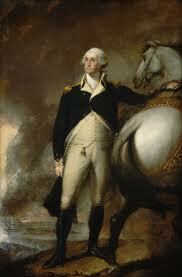 He was drafted and served as body guard to George Washington in the Revolutionary war. He took a deep interest in the matters pertaining to his church and was the patriarch of the Lutheran Church at Koiners Store, Rockingham County, Virginia. He was engaged in the congregations work of building the first church structure there. When he was stricken with paralysis and died at the age of 49. The church still in use, has services once a yer with special occasions and weddings held in it. The pipe organ still in use was brought in over the mountains by ox cart from PA. The homestead, slave house and buildings are still standing and in use. Michael was born at Winterlingen Germany. 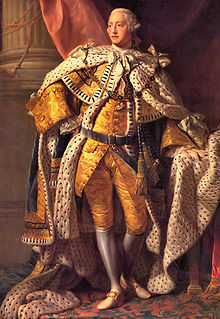 He emegrated to America about 1740 and to Virginia in 1790. He was 77 years old when he died. Michael was also a Revolutionary War soldier in Pennsylvania. He served as a Private. The Revolutionary War marker was placed by the Col. James Patton chapter of the DAR. Er liegt der leib of (Micael Keinadt) Gastorben den 7 Nofember 1796 seiner alter Vahr 77 jahr. Sehet usum spet und frieh—–. 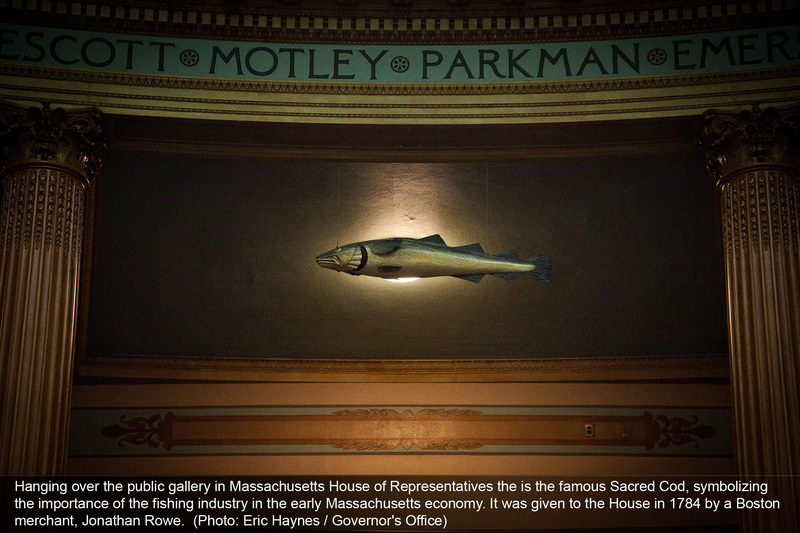 Hanging over the public gallery in Massachusetts House of Representatives under the surname Parkman is the Sacred Cod fish symbolizing the importance of the fish industry in the early Massachusetts economy. It was given to the House in 1747 by a Boston merchant. 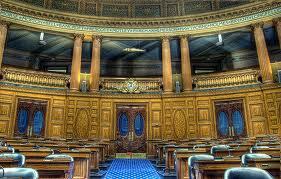 The sir names that encircle the hall are of the families that were pillars of the community at the time the State Capitol Building was constructed in Boston. The Parkman Bandstand was named for one of the Common’s greatest benefactors, George Francis Parkman Jr., who died in 1908 and left $5 million for the care of the Common and other city parks. The bandstand was originally dedicated in 1912 and was restored in 1996. It still hosts small events such as midday concerts, theatrical productions, weddings and speeches (Obama in 2007). 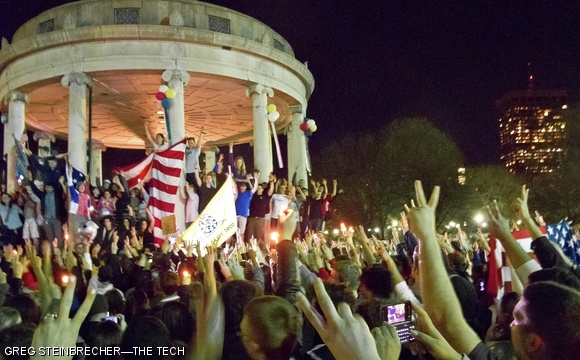 Annually, the Boston Freedom Rally is held at Parkman Bandstand, the second largest rally calling for the reform of marijuana laws in the United States. The Commonwealth Shakespeare Company puts on free plays from Parkman Bandstand, drawing as many as 100,000 theater-lovers into the park every summer. 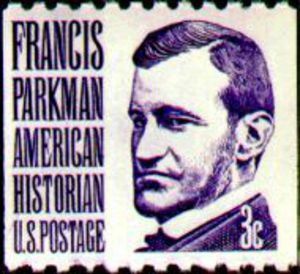 Francis Parkman House is a National Historic Landmark at 50 Chestnut Street in Boston, Massachusetts. Massachusetts Governor Endicott Peabody’s statement regarding the assassination of President John F. Kennedy in Dallas,Texas. 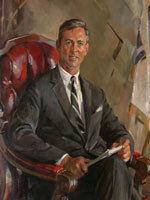 This oil painting above hangs in the Governors Office in the gold domed Boston State Capital Building. It was front page news around the country on April 1, 1964 when the governor’s 72 year old mother, Mary Parkman Peabody, was arrested at the Ponce de Leon Motor Lodge in St. Augustine, Florida for attempting to be served in an integrated group at a racially segregated restaurant. 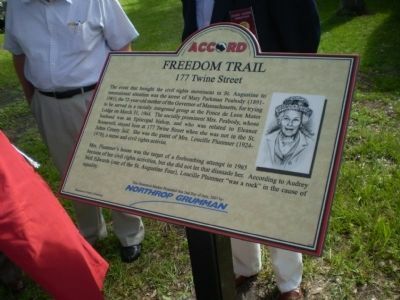 This made Mrs. Peabody a hero to the civil rights movement, and brought the efforts in St. Augustine—the nation’s oldest city—to national and international attention. The story of her arrest is told in many books including one by her arrest companion Hester Campbell, called Four for Freedom. <a The event that brought the civil rights movement in St. Augustine to international attention was the arrest of Mary Parkman Peabody (1891-1981), the 72-year old mother of the Governor of Massachusetts (Endicott (Chub) Peabody) , for trying to be served in a racially integrated group at the Ponce de Leon Motor Lodge on March 31, 1964. The socially prominent Mrs. Peabody, whose husband was an Episcopal bishop, and who was related to Eleanor Roosevelt, stayed here at 177 Twine Street when she was not in the St. Johns County Jail. She was the guest of Mrs. Loucille Plummer (1924-1978) a nurse and civil rights activist. Mrs. Plummer’s house was the target of a firebombing attempt in 1965 because of her civil rights activities, but she did not let that dissuade her. According to Audrey Nell Edwards (one of the St. Augustine Four), Loucille Plummer “was a rock” in the cause of equal rights. Mary Parkman Peabody(1891-1981) the mother of Endicott Peabody the Governor of Massachusetts along with Hester Campbell, Florence Rowe and Esther Burgess, the wife of the first Black Episcopal Bishop in the United States traveled to St. Augustine Florida to desegregate restaurants and hotels in the area. Working with the Southern Christian Leadership Conference the group of ladies descended on the local restaurants and when refused service they participated in a sit-in refusing to leave. Mary Peabody at the age of 72-years-of-age along with the 92 others was arrested. 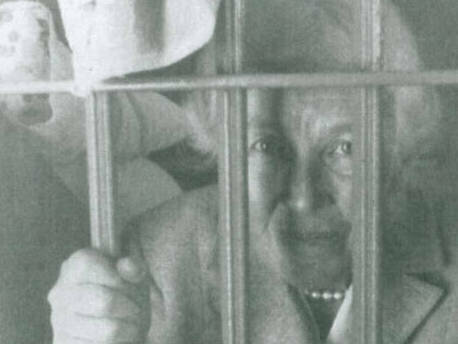 Mrs. Peabody spent 2 nights in jail to help desegregate the American south. Mary Parkman Peabody, the eldest of five children of Henry Parkman and Mary Frances (Parker) Parkman, was born on July 24, 1891, in Beverly, Massachusetts. She attended the Winsor School in Boston, Massachusetts, and Miss Porter’s School in Farmington, Connecticut. In 1912, after inheriting money from an uncle, she embarked on a trip around the world with two friends and a chaperone, traveling to India, Burma, Ceylon, China, Japan, and the Philippines. After returning, she took classes at Simmons College School of Social Work and in 1916, she married Malcolm Peabody, son of Fannie and Endicott Peabody, the founder of Groton School. They had five children: Mary, known as Marietta (1917-1991), Endicott (1920-1997), George (born 1922), Samuel (born 1925), and Malcolm, Jr. (born 1928). The couple settled in Lawrence, Massachusetts, where Malcolm Peabody was first curate and then rector of Grace Episcopal Church. Shortly after the birth of their first child, Malcolm Peabody began service as a World War I chaplain in France. During his absence, Mary Peabody worked with the Women’s Liberty Loan committee, which encouraged women to buy Liberty Bonds to support the troops, and was active in community welfare projects. Malcolm Peabody returned to Lawrence in 1919, and in 1925 the Peabodys moved to Chestnut Hill, Pennsylvania, where he served as rector of St. Paul’s Church; in 1938 he was elected bishop coadjutor of central New York and became bishop the following year. 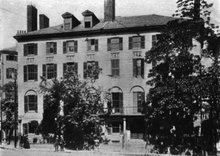 The Peabodys relocated first to Utica and then to Syracuse, New York. Mary Peabody taught religious classes for public school students in Syracuse and took in German and Austrian refugees during World War II. 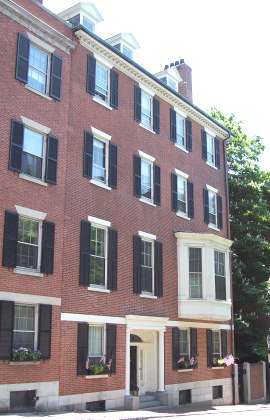 In 1960, Malcolm Peabody retired and the Peabodys moved again, to Cambridge, Massachusetts. In 1964, at the age of 72, Mary Peabody was recruited by a member of the Southern Christian Leadership Conference to join a civil rights demonstration in St. Augustine, Florida. She traveled with Hester Campbell, wife of the dean of the Episcopal Theological Seminary in Cambridge, Florence Rowe (mother-in-law of her son Malcolm), and Esther Burgess, wife of the first black Episcopal bishop in the United States. At the request of the demonstation’s leader, Dr. Robert Hayling, Peabody and her companions attempted to get service at local restaurants and hotels. They were refused and Peabody was arrested for participating in a sit-in at a segregated motel dining room; she spent two nights in jail, drawing praise from Martin Luther King, Jr. Her son Endicott was governor of Massachusetts at the time, and partly because of this, her arrest drew a great deal of press coverage and she received large amounts of mail both praising and condemning her actions. 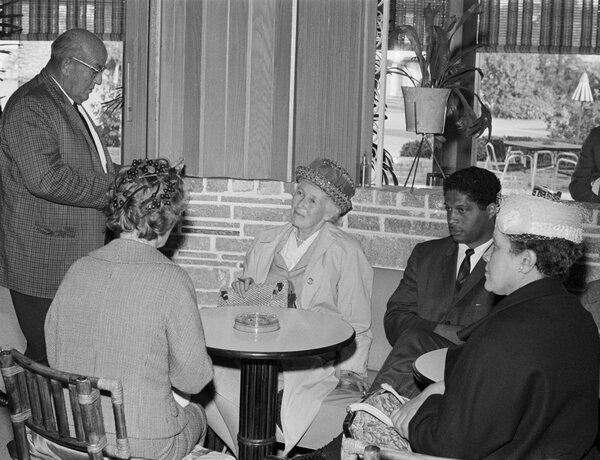 Following her return to Cambridge, Peabody remained active in the civil rights struggle and made many public appearances. She also worked for the rights of American Indians and the establishment of a school in Roxbury, Massachusetts. Malcolm Peabody died in 1974 and Mary Peabody died of heart failure on February 6, 1981. In honor and recognition of her courageous acts displayed during the 1964 Civil Rights Movement, ACCORD presents the “Dr. Robert B. Hayling Award of Valor” Posthumasely to the Late Mrs. Mary Parkman Peabody. The Annual “Dr. Robert B. Hayling Award of Valor” was initiated and sponsored, July 2, 2009 by former Florida State Senator Dr. Anthony ‘Tony’ Hill. Past Recipients are Mr. James Jackson, Mr. Clyde Jenkins, Rev. Goldie Eubanks+, and Mrs. Loucille Plummer+ who had as a guest in her home, Mrs. Peabody in 1964. It was 49 years ago: March 31, 1964: a time of excitement in the Nation’s Oldest City. It was spring break, and many college students had come to town — not to go to the beach, but to take part in civil rights demonstrations. The Elk’s Rest on Washington Street was the headquarters. The historic two-story building had meeting facilities, and also a kitchen where food could be prepared (civil rights veterans can still remember the peanut butter sandwiches). Integrated groups would be organized and sent out to the restaurants, lunch counters, motels and churches to see if they would be served, barred or arrested. Not all of the visitors were students. One was Mary Parkman Peabody, 72-year-old wife of an Episcopal bishop, cousin of Eleanor Roosevelt, and mother of the governor of Massachusetts. Her presence in St. Augustine was very big news. FBI reports show that J. Edgar Hoover himself began taking an interest in the Nation’s Oldest City when he learned the governor’s mother would be coming here. Mrs. Peabody agreed to “test” (in the parlance of the day) the Ponce de Leon Motor Lodge on U.S. 1 north of town. Two of her white friends, a Harvard professor and the wife of the president of the Episcopal Theological Seminary, agreed to go with her. They looked around for black people to accompany them — and came upon the women working in the kitchen of the Elk’s Rest: Georgie Mae Reed, Rosa Phelps, Cuter Eubanks, Nellie Mitchell and Lillian Twine Roberson. They were driven home to dress appropriately for the occasion, then went out to the Ponce Lodge — and were arrested. The next day it was front-page news all over the country. From that time until the signing of the landmark Civil Rights Act on July 2, 1964, St. Augustine got more media coverage that it had in the previous 399 years of its existence. The sacrifices they made led Martin Luther King to hail them among the Heroes of St. Augustine”. Of these five black women, only Lillian Twine Roberson is alive today. A sister of the late city Commissioner and ViceMayor, HenryTwine. Lillian now lives in Jacksonville, FL. Her home on Gault Street in North City was burned down in 1964 (only the brick steps remain) after she sent her children to integrate the previously allwhile Fullerwood School and her husband was fired from his job at a local car dealership because of his civil rights activities. One of the provisions of the Civil Rights Act of 1964 that grew out of the demonstrations in St. Augustine outlawed job discrimination — not just against blacks, but also against women. Every woman who now has a job that in previous generations reserved for men only, owes a vote of thanks to Mrs. Mary Parkman Peabody and the other “Heroes of St. Augustine”. The Rev. 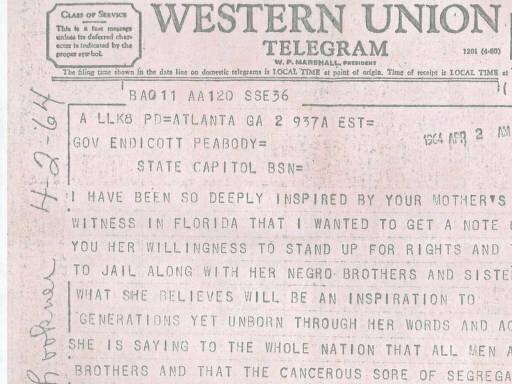 Martin Luther King Jr. sent a telegram to Mary Peabody’s son, Massachusetts Gov. Endicott Peabody. King thanked the governor for the sacrifices of his mother, Mary, and for her willingness to be jailed for the St. Augustine sit-in. Sheriff L.O. Davis reads a set of local laws to Mrs. Malcolm Peabody, Dr. Robert Hayling and Mrs. John M. Burgess. The protesters remained seated as they attempted to integrate the dining room at a table in the Ponce De Leon Motor Lodge. 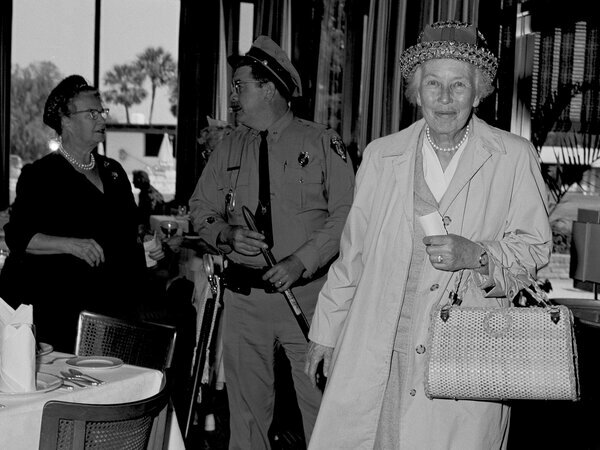 Mary Peabody leaves the dining room of a motel in St. Augustine, Fla., on March 31, 1964, after being arrested. This story is part of NPR’s 50th anniversary coverage of 1964. The year remains prominent in civil rights history for a number of reasons: the Freedom Summer, the murders of three civil rights workers, the passage of the Civil Rights Act and the challenge to Mississippi’s segregated delegation at that year’s Democratic National Convention. Fifty years ago, St. Augustine, Fla., was a quiet, palm-fringed resort town with pastel Spanish colonial buildings. There was warm weather, and the white sand beaches off the Atlantic coast lured thousands of tourists every year. There was also a historic part of downtown that had a building often referred to as “The Old Slave Market,” with good reason: For several decades, that had been the building’s purpose. Racial tension in St. Augustine had been bubbling. The town lacked public amenities for blacks — much of the area was segregated. And for years, there had been a growing civil rights movement that had been met with increasingly violent resistance from local whites. Despite that, it was clear black pushback was growing. As Congress debated passing a civil rights act, black leaders wanted to increase the pressure on elected representatives by highlighting racial injustice and violence in various parts of the country. The Rev. Martin Luther King Jr. and his Southern Christian Leadership Conference put out a call for white students in the North to skip the beach on their spring break and come to Florida to protest segregation. Inviting young white people to push for civil rights would bring attention to places where the national media had ignored dramatic racial injustices. To further increase the pressure, King’s deputy, Hosea Williams, visited Boston to see if any elderly Bostonians would volunteer. Williams believed the image of grandmothers being ushered off to jail would be a sure bet in gaining national publicity for places that had been in the shadows. 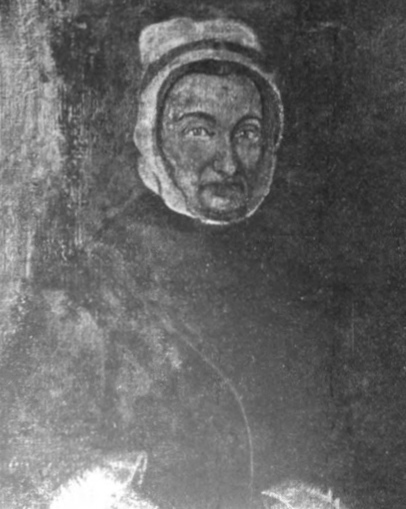 One of Williams’ volunteers turned out to be 72-year-old Mary Parkman Peabody, wife of the former bishop of the Episcopal Diocese of Central New York and mother of Endicott Peabody, then-governor of Massachusetts. Historian David Colburn, professor emeritus at the University of Florida, said the SCLC knew St. Augustine was preparing to celebrate its 400th birthday, and decided to hijack the tourist message with a civil rights message. “It was clear that they were trying to mobilize a civil rights army to come to St. Augustine to lead demonstrations against the segregation policies of the community,” Colburn says. The late governor’s brother, Samuel Peabody, says his mother had been involved in what she called “justice issues” for several years. Mary Peabody poses in the St. Johns County Jail on a return visit to St. Augustine, Fla. The last week of March 1964, Mary Peabody and a few other powerful women flew down to St. Augustine. With members of the SCLC, they tried to attend services at Trinity Episcopal Church. The rector locked the doors. They attempted to go to several local restaurants, and were turned away. Then the group decided to try for lunch at the Ponce de Leon Motor Lodge —which just happened to have a group of reporters staying there. “I was not told about it at all. What surprised me was I saw my mother on the front page of every newspaper in the country!” he recalls. “Or at least every newspaper where I was at the time.” (Southern newspapers were the exception, for obvious reasons.) The picture of Mary Peabody, with a proper handbag and pearls, her white hair topped by an ever-present hat, made national news. It was a turning point. That publicity was a catalyst for other demonstrations soon after, some of them quite violent. The St. Augustine Movement would become known as one of the most critical — and until recently, one of the least-known — campaigns in the civil rights history.